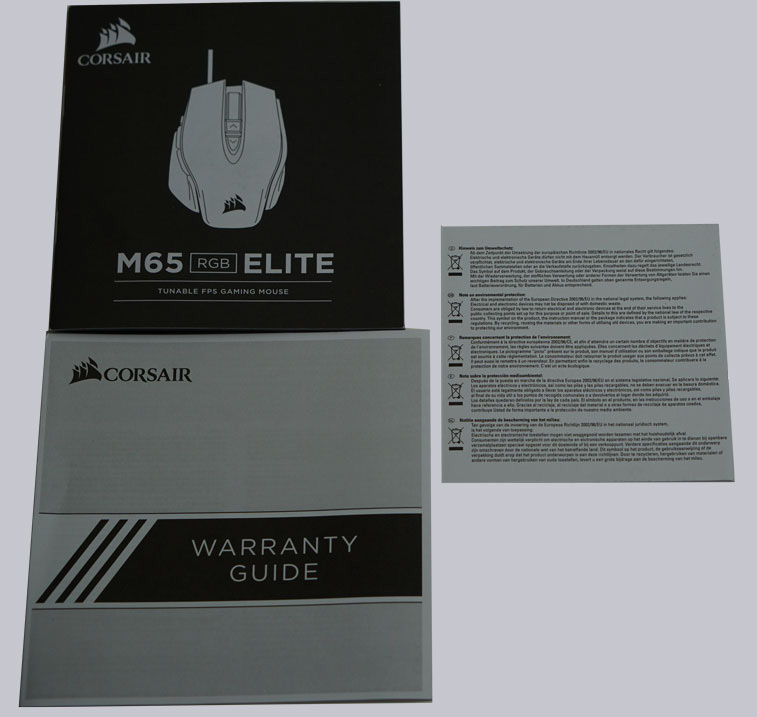 Today we test on OCinside.de the Corsair M65 RGB Elite Gaming Mouse. Corsair has analyzed many reviews regarding its predecessor and now releases a new and improved version of the Corsair M65. 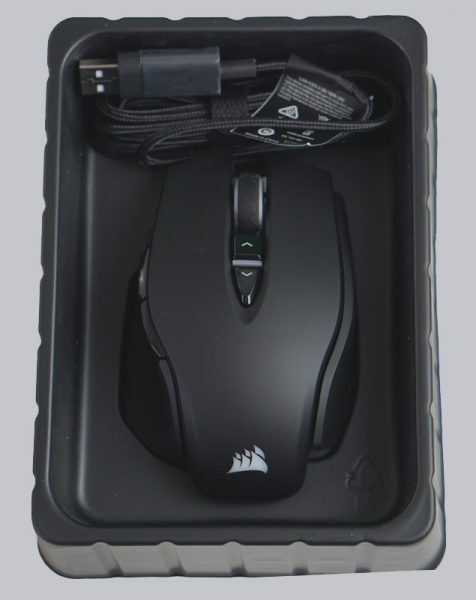 The Corsair M65 RGB Elite Gaming Mouse has a new sensor and an anodized aluminum frame. The weight has been reduced and the thumb buttons have been adjusted. Whether we like the new Corsair M65 RGB Elite Gaming mouse, we show in the following review. Many thanks for the support to r0s4 and for the quick delivery to the manufacturer Corsair. 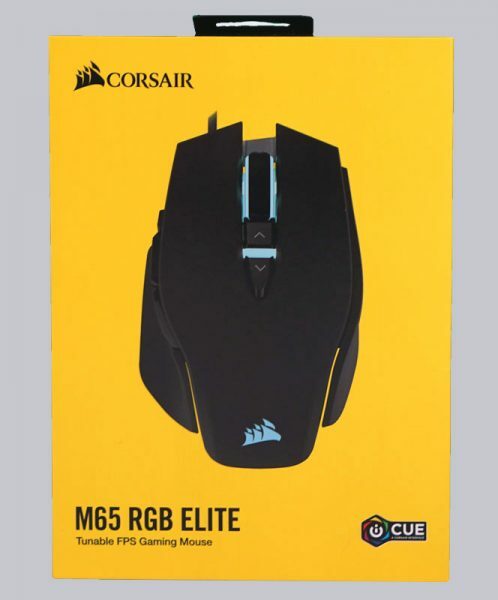 The Corsair M65 RGB Elite has at review date a price of approx. 70 Euro (03/2019). Here you can buy the Corsair M65 RGB Elite. The Corsair M65 RGB Elite comes in an attractive packaging. 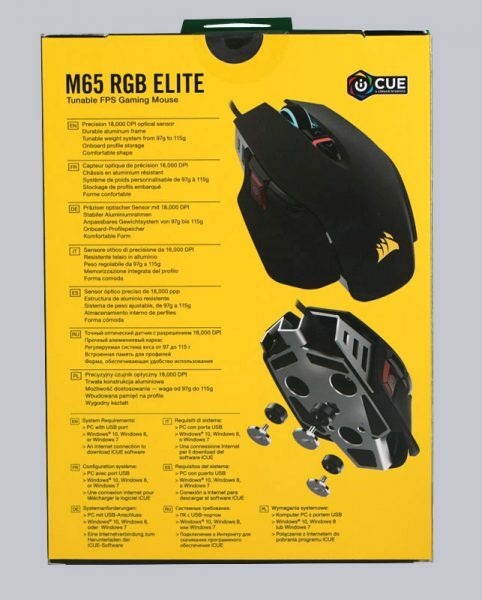 The colour of the packaging is Corsair-typically black and yellow. On the back we find the key-specs in 7 languages and the system requirements. Here you can see the Corsair M65 RGB Elite Gaming Mouse including the pre-mounted and removable weights. Also included is an operating manual in eleven languages and a warranty booklet as well as a note on environmental protection.